Sell your facebook fanpages, groups, or accounts! 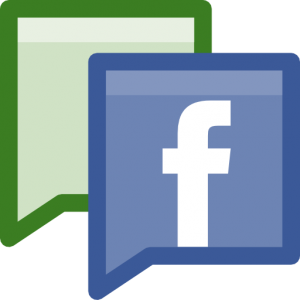 Are you ready to sell your Facebook fanpage? If so, we’re happy you’ve decided to give us a try. Remember, BuySellAccounts.com will handle everything for you, no need to talk to countless strangers and worry about safety. It is no secret that selling a fanpage can be cumbersome, as there aren’t too many online markets that facilitate virtual goods. We’re the only company on the web that will find you a buyer, negotiate the best price, and pay you from our own pocket, all in less than 12 hours. You will never have to talk to the buyer, and receiving a payment directly from us ensures that your money will be safe and sound. The bottom line is that we will go over our heads to sell your fanpage, and we will not give up on you! Still interested? Great! But make sure to go over our checklist. Fanpages below 50,000 fans are generally not accepted unless the seller (you) is willing to part with it for a nominal amount. Exceptions can be made if the fanpage features desirable activity levels. Personal accounts below 3000 friends are unacceptable. Facebook groups must have at least 30,000 members, and activity is required (for groups). The accounts, fanpages, and groups must be in full working order, without any suspensions or bans. Past publishing blocks and bans are OK, as long as the properties have been reinstated. If you think you qualify, then please contact us by submitting the form on this page. We will contact you in less than 12 hours to further verify your property. We may also ask for additional information before we can find a suitable buyer. By submitting this form, you agree to our seller rules. Why in the world would anybody want to purchase my silly account, group, or fanpage? You’re right! They’re worthless, so just give them to us! But all joking aside, people who usually purchase these properties are businesses/website owners who simply need a little attention. Owning a large group of fans (or friends) makes it easier to get your content out there, and they can generate much needed website traffic. BuySellAccounts.com goes to great lengths to ensure your property does not fall into the hands of spammers, as outlined in our anti-spam policy. Is it possible to sell my fan page and still keep my facebook profile? Yep! Facebook makes this process quite easy, and it only involves transferring ownership to a new page admin, then removing the old one. Your main profile will be left untouched for your to enjoy. This also applies to Facebook groups. How much can I get for my fanpage, account, or group? Well, that is a tricky question, and it cannot be answered until one of our staff members glances over your property. It is difficult to judge something you cannot see, and not all properties are created equal, so we don’t have a pre-set list of prices. Account age, activity, the amount of fans, follower location, and topic are just a few factors that affect the bottom line. Why are people messaging my fanpage/group with such high offers? Does facebook allow the sale of fanpages? In special circumstances and with written permission, yes. However, due to Facebook’s slow response time to any inquiries, most transactions are conducted without their permission. This is only the case with fanpages and groups, as personal accounts cannot be sold or traded, according to Facebook rules.